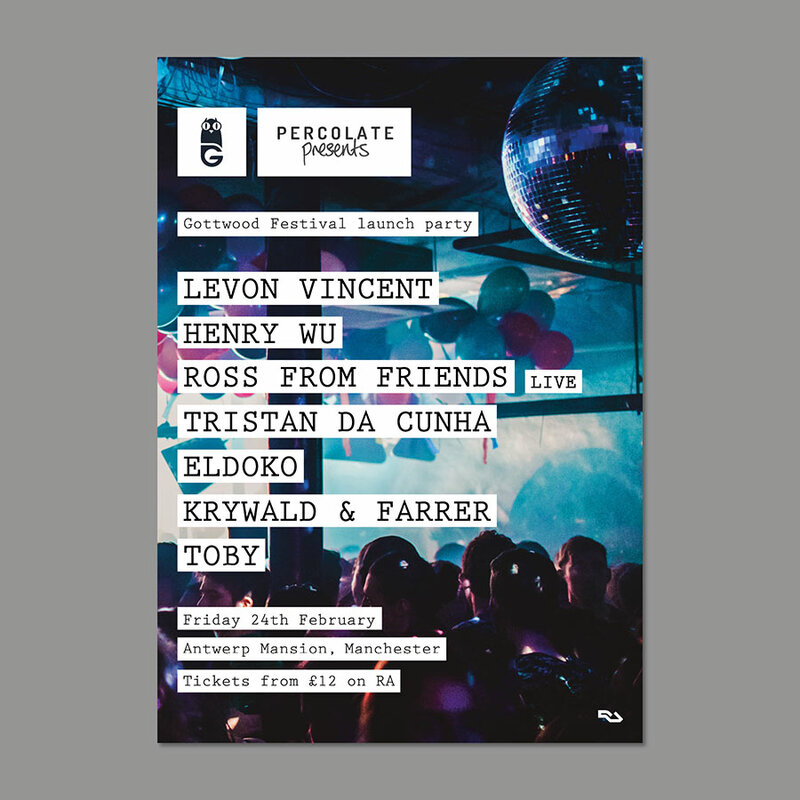 Percolate & Gottwood are teaming up for a special one-off Manchester collaboration this February – an early warm up for that most magical weekend of the year, we’ll be taking over the Mansion for a night of Gottwood vibrations. Novel Sound bossman, angular techno don & Berghain regular Levon Vincent steps up to headline. 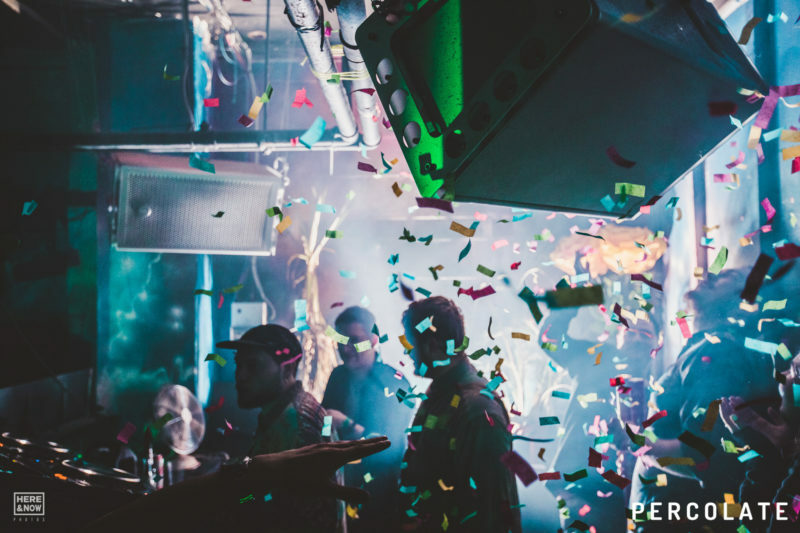 His beautifully austere productions combined with an incredible dancefloor sensibility make for a truly dangerous DJ – and we reckon it’ll be extra special within the walls of the mansion. Joining him is hazy jazz head Henry Wu. His cuts on Rhythm Section have become label calling cards, Good Morning Pecknaam and Croydon Depot in particular – while last year saw his Yussef Kamaal project release one of the most compelling albums of the year, Black Focus. A wicked DJ, can’t wait to hear what Henry’s got in store. Meanwhile we’ve got Ross From Friends bringing his acclaimed live set for your delectation. He’s made serious waves the last couple of years, including a recent sellout smash on Lobster Theremin’s sublabel Distant Hawaii – and has to be one of the most interesting live propositions we caught in 2016, trust us this’ll be a lot of fun. Rounding up the lineup is team favourite and party-starter extraordinaire Tristan Da Cunha, digging deep alongside our cheeky chappies Krywald & Farrer and Gottwood’s Eldoko – whom, along with some nifty production touches, will be transporting you for the evening to that truly special stretch of Welsh woodland.